Another day, another anti-vaccine trope finds it way out of the grave to enter the zombie apocalypse of anti-vaccine misinformation and lies. Today’s zombie trope is the one that the NVICP (National Vaccine Injury Compensation Plan, see Note 1) payouts are so huge that they the “prove” that vaccines are dangerous and should be kept it away from children. My friend Liz Ditz wrote about this trope and gave it a solid debunking a couple of years ago. She is much nicer than yours truly, the cranky feathery dinosaur. We’re going to give it the full Skeptical Raptor treatment which means a lot of science, some snark, and a dollop of mockery. More seriously, I wanted to update her numbers and make a few more, possibly sarcastic, points. I don’t want to digest the whole National Vaccine Injury Compensation Program down to a few paragraphs, thus giving its process and rules short shrift. My fellow contributor, Dorit Rubinstein Reiss, has written a detailed description of the NVICP, which will be very useful if you really want to understand the vaccine court (another term for the NVICP). In addition, Professor Reiss has written numerous articles about NVICP decisions that refute anti-vaccine myths and add to our understanding of the NVICP process. During the 1980s, an unfounded scare about the DPT vaccine (for protection against diphtheria, pertussis, and tetanus – this was the older version of the current vaccines for those diseases) caused juries to give huge awards to the plaintiffs who claimed that the vaccine caused harm to someone. Even though many of us think that the anti-vaccine movement started in the late 90s, actually it started with the DPT vaccine scare. Even though the claims of side effects from the DPT vaccines were not supported by scientific and clinical evidence, the number of jury awards started to scare the vaccine manufacturers. DPT vaccine manufacturers were considering the drastic act of ceasing production of vaccines – and manufacturers of other vaccines were considering similar actions. Public health officials were understandably fearful of the loss of herd immunity to all of these pathogens. The National Vaccine Injury Compensation Program was established by the 1986 National Childhood Vaccine Injury Act (NCVIA), which was passed by Congress in response to this potential threat to the vaccine supply. 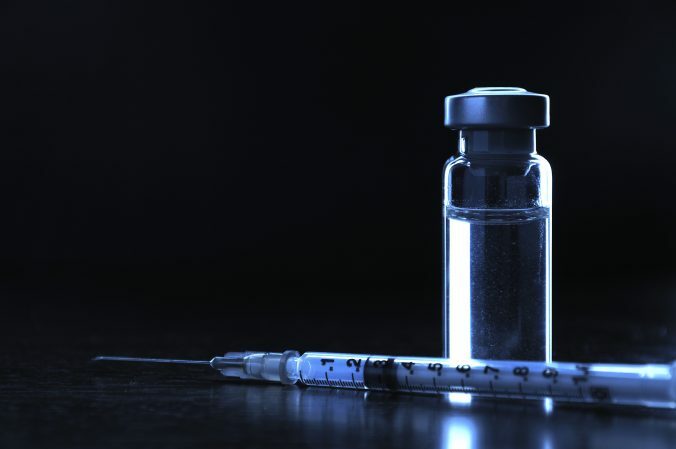 The act used the Office of Special Masters of the US Court of Federal Claims, a specialized court that focuses exclusively on vaccines, to administer a no-fault system for litigating vaccine injury claims. These lawsuits against vaccine manufacturers usually cannot be brought in state or federal civil courts, and they must be heard by the Special Masters without a jury (see Note 2). show by preponderant evidence that the vaccination brought about her injury by providing: (1) a medical theory causally connecting the vaccination and the injury; (2) a logical sequence of cause and effect showing that the vaccination was the reason for the injury; and (3) a showing of a proximate temporal relationship between vaccination and injury. In other words, if the petitioner can find an expert willing to testify and argue a theory that is logical and there is a temporal connection, a petitioner may win a case in which there is no scientific evidence supporting the claim that the vaccine can cause this harm. This is a very, very big break for petitioners, as opposed to using state and federal civil courts. According to the latest report from the NVICP, 5,362 petitions were filed in the vaccine court to compensate for vaccine injuries from 2006-16. Of those, 3,626 were compensated for a total of US$2.225 billion. Seems like a lot, right? Except that during that time, over 3.1 billion doses of covered vaccines were distributed in the USA. This is why math and statistics are important in understanding this program – just a bit over 0.00011% of vaccine doses are compensated in this program. One of the fairest systems in tort law, one that favors the plaintiffs, pays compensation for vaccine damages 1 in a million times. And if you’re going to throw the $2.225 billion in claims in our faces, please look at it again from the totality of vaccine doses given – all of those claims, averaged over all 3.1 billion doses, means that the average vaccine accounts for only $0.72 in claims. It is frustrating that this vaccine injury compensation trope relies on absolute values, so you’re shocked that that much money is being passed out to claimants. Yet if you look at it in totality, using incidence or prevalence rather than absolute numbers, you’ll see that claims relative to all vaccinations are nearly negligible. Even though the vaccine court has made it nearly impossible to bring a claim that vaccines cause autism because science says they’re not linked and the vaccine court says they aren’t linked, other claims of adverse events can be allowed. If you can provide reasonable evidence from reasonable expert witnesses and scientific research, you have a good shot at receiving compensation. The NVICP makes it so easy. It pays for the claimant’s attorneys and costs (like expert witnesses). They settle a lot of cases, even while not agreeing to causality between the vaccines and the adverse event. The NVICP will compensate for so-called table injuries (it’s a literal table of vaccine adverse events) even without necessarily establishing causality. Furthermore, the NVICP can be sympathetic to claimants, something you would never see in a civil court. Even though the NVICP should not be considered a social welfare experiment, it is clear that occasionally the court pays claimants for serious injuries, even when there is little or no evidence that vaccines were responsible. Again, I’m oversimplifying the system, and you really should read Professor Reiss’ extensive writings on the vaccine court’s processes and findings. I’ve written this many times before – courts don’t get to decide science. That’s not how science or the legal system works. Remember, the legal systems of most countries, and even the NVICP, is an adversarial one. Two sides get to cherry pick data, choose biased expert opinions, and then throw in a huge helping of emotion before that court (jury, judge or special master) renders an opinion. And the decision is rendered by someone who is probably not a scientist. I am usually amused when someone who isn’t a scientist tries to explain the process of coming to a scientific consensus. They think that a bunch of scientists gathered in a room and debate, then hold a vote. Nothing could be further from the truth. Although I tried to describe the process, it’s really not one. Over time, as more and more powerful evidence accumulates, there’s a subtle shift in thinking. This is not how courts function. Yes, sometimes courts and science are in sync. The NVICP and nearly every scientist agree that vaccines are not linked to autism spectrum disorders. That’s a settled, scientific consensus, despite the constant claims of the anti-vaccine religion. But a lot of scientists are uncomfortable with the NVICP because it does pay frequently (maybe the majority of the time) for claims that have never established causality. However, NVICP works well enough to make certain we have a vibrant vaccine industry to prevent diseases. Abusing the vaccine injury statistics from the NVICP goes to one of my chief concerns about the anti-vaccine rhetoric – they focus overwhelmingly on the risks of vaccines while completely ignoring the benefits. They look at these 1 in a million doses of vaccine claims, trying to “prove” a point that vaccines are dangerous. Yet they completely ignore the fact that if we got rid of the measles vaccines tomorrow, we could experience epidemics that would overwhelm our healthcare system and would lead to hundreds or thousands of deaths every year. So that everyone is clear on the simple math, if we’re going to use NVICP statistics, then only 1 in a million doses results in a vaccine injury. But let’s look at measles as an example – 1-2 in a thousand children who contract measles will die. One in a thousand will get encephalitis. That is 1000 times the risk of any vaccine injury IF you have convinced yourself that every single claim shows causality. I often use this example to hit home about risks vs. benefits. If a child or adult breaks their leg (not a vaccine injury, obviously), you would insist that the fracture is repaired, either through reduction or surgery. Yet, there are numerous serious risks to treating a fracture – infections, pain, shock, thrombosis, and compartment syndrome. All of these can be deadly (a fat embolism is one of the scarier complications from reducing a fracture), require an amputation, or involve extensive hospital stays. And this isn’t a minor risk. Yet, I cannot imagine anyone refusing treatment for a bone fracture. On the other hand, vaccines have a tiny, almost negligible risk of injury, but I spend more time explaining this risk rather than focusing on the massive benefits of vaccines. At least 700,000 lives have been saved over the last 20 years in the USA. I imagine that it’s at least 10X that number if we include the whole world. This translates to savings of $295 billion in direct health care costs and $1.38 trillion in total societal costs. In other words, those are numbers that are two orders of magnitude larger than the tiny payouts for so-called vaccine injuries that may not even be caused by vaccines. All medical procedures require some level of risk, whether it’s a vaccination, reducing a fractured leg, or getting an EKG. And of all of these procedures, vaccines are among the safest ever. Sure, you might be a fan of the Nirvana Fallacy – if it’s not perfect, it’s worthless. But that’s only factual in a dream world filled with unicorns farting rainbows. Vaccines have a minimal risk, even when you use NVICP data. And they have massive benefits in protecting children and adults from dangerous and deadly diseases. The calculation is easy unless you just want to be closeminded to the facts about vaccines. Then there’s nothing I can say. The abbreviations, NVICP and VICP, are used interchangeably to describe the National Vaccine Injury Compensation Plan or Vaccine Court. Health and Human Services calls it the VICP, but I’ve used NVICP consistently in every article that mentions it. So, I’ll continue to use NVICP, but if that annoys you, just pretend it says VICP. Despite the claims of the anti-vaccine world, lawsuits against vaccine manufacturers can still be brought in state and civil courts under certain conditions, including vaccine manufacturer negligence. However, it actually is more difficult to prevail in these courts for a lot of technical reasons.